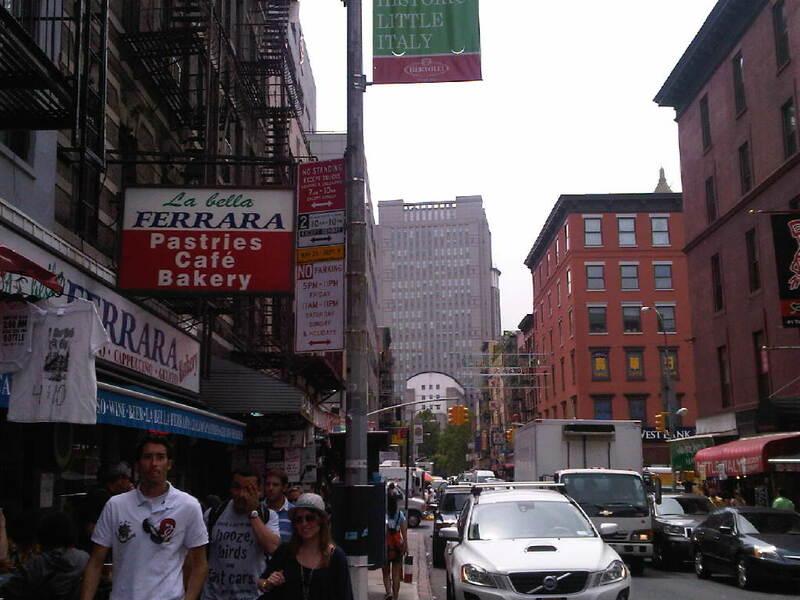 Yesterday, on my way out for lunch, I passed by the busy street of “Little Italy”. 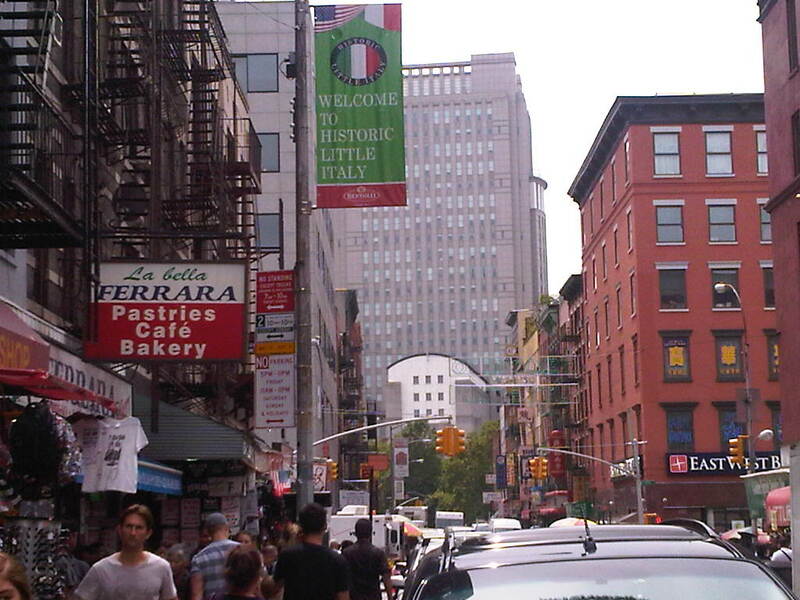 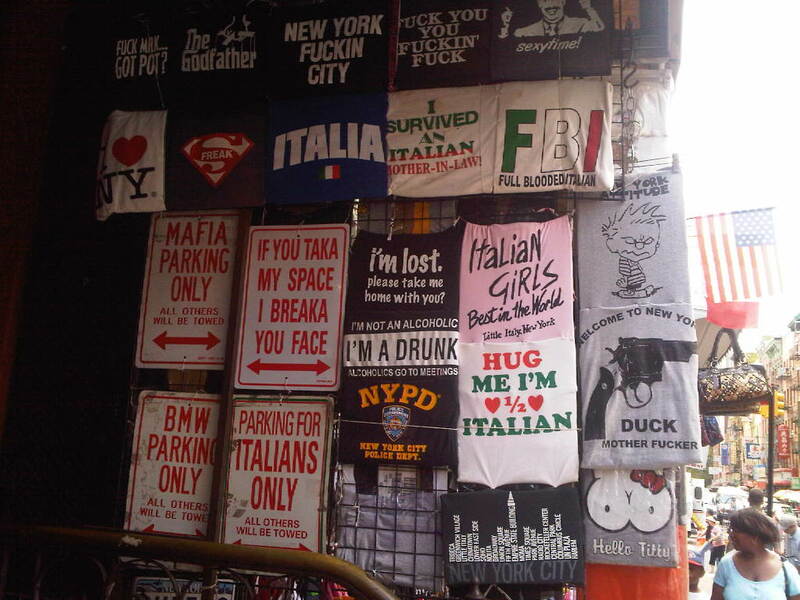 (Little Italy is a neighborhood in lower Manhattan, New York City, once known for its large population of Italians. 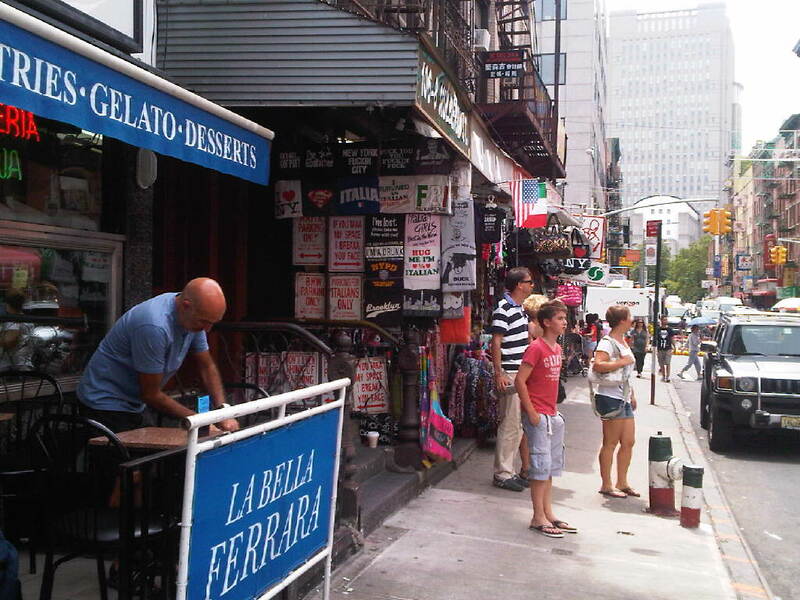 Chinatown, has encroached on much of Little Italy and Mulberry Street between Broome and Canal Streets, is all that is left of the old Italian neighborhood)I have walked by this street umpteen times,but never saw these sign boards until yesterday.I am sure, the same must have happened with the Chinese in the neighborhood or they haven’t seen the movie “GODFATHER”. 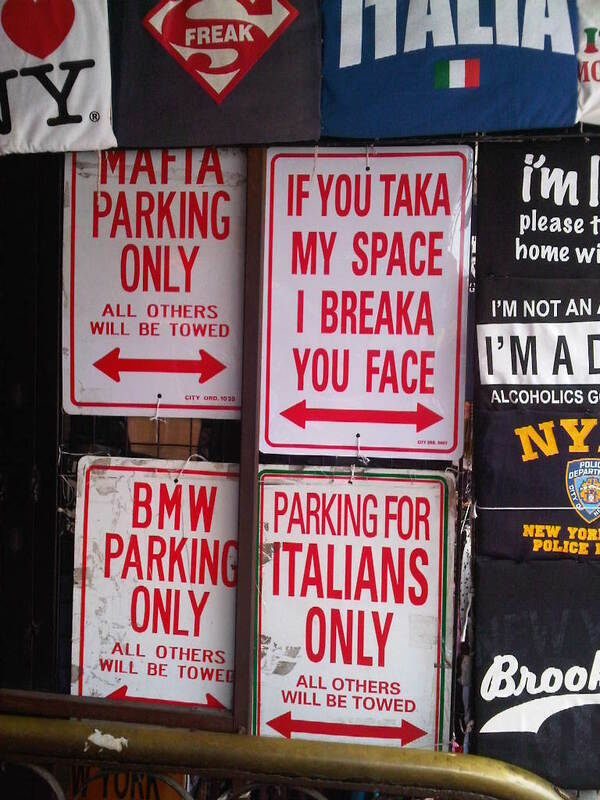 Either way, I hope it will make them think twice the next time, they plan to take their”SPACE”.